Tyre Pressure Monitoring Systems (TPMS) for caravans can give you that extra bit of peace of mind when touring. And we would always encourage caravanners to fit such devices which promise to reduce the risk of tyre blowouts – and in return we’ll offer discounts on your caravan insurance. 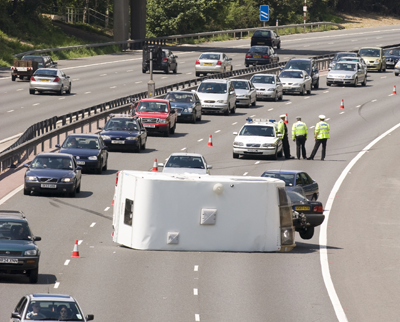 Here, Peter Tillotson at tyre pressure monitoring specialist TyrePal, explains the risks of blow outs when caravanning. 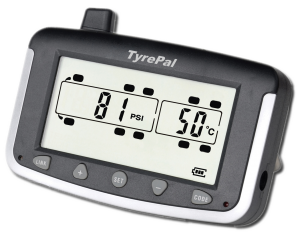 As part of our drive to reward the careful caravanner, Caravan Guard now offers a 5% caravan insurance discount for customers who use a Tyre Pressure Monitoring System (TPMS), such as TyrePal. A blowout can have disastrous consequences for those in the vehicle and other road users. Peter explains that whilst most people believe a blowout is unpredictable, its likelihood can be detected much earlier. 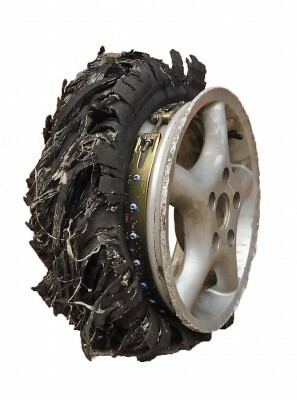 The first stage of a blowout is usually a puncture. As the tyre begins to deflate, there is more friction with the road, which causes the tyre temperature to rise. The tyre wall then begins to overheat and eventually collapses. In the case of a blowout, the vehicle is likely to pull strongly to the left or right, depending on which tyre has burst. When towing a caravan, this is even more difficult to control. The car and the caravan are only connected via a tow-ball, so the two vehicles could swerve in opposite directions. Even if the driver can regain control, there may still be damage to both vehicles. A caravan’s wheel arches are much less durable than a car’s because they are made of plastic. Caravan manufacturers tend to route cables and pipes over the wheel arch, so when a tyre bursts the steel bands inside shred everything in their path. In any event we we would also always advise checking your caravan tyres regularly to help prevent a blow out. It’s always important to check your tyre pressures before setting off and to look for tears or bulges in the tyre walls regularly and especially if your caravan has been stood for a while. It’s also recommended to replace tyres, which are over 5 years old, even if they are not worn. See our caravan insurance page for a full list of our tyre safety discounts. I was a traffic police officer for the best part of 30 years and dealt with many caravan “incidents” in nearly every (but to be fair not all) case there was clear evidence of tyre failure on the caravan. I have TPMS fitted to,both my car and caravan, it alerted me to pressure loss in a car tyre a while ago. As it was a low profile tyre the pressure loss couldnt be be “felt” whilst driving!